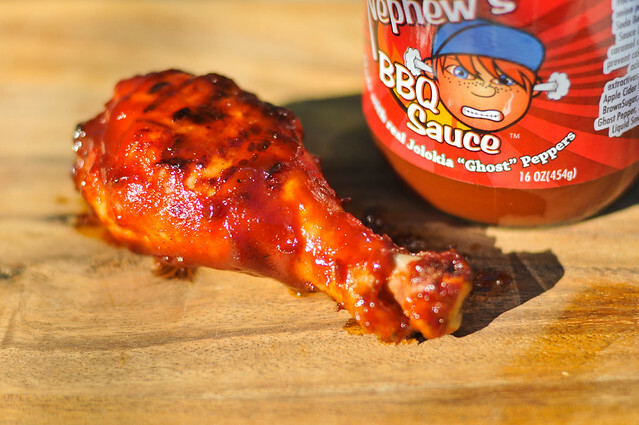 Made with Ghost peppers—the hottest peppers in the world—this sauce is unexpectedly balanced in its flavor. While this may be a disappointment for heat seekers, it does make it an above average sauce that could have a variety of uses and appeal to a larger base than just chile fans. Nephew's barbecue sauce got their start not too long ago when the sauce was made as wedding favor in 2009. 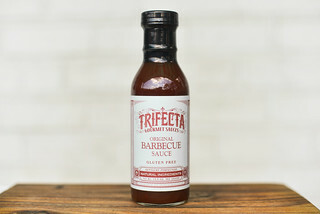 The response from guests was so overwhelming that owner J. Paul Abrams made it official with a whole line of barbecue sauce that pair sweet fruits with spicy peppers. 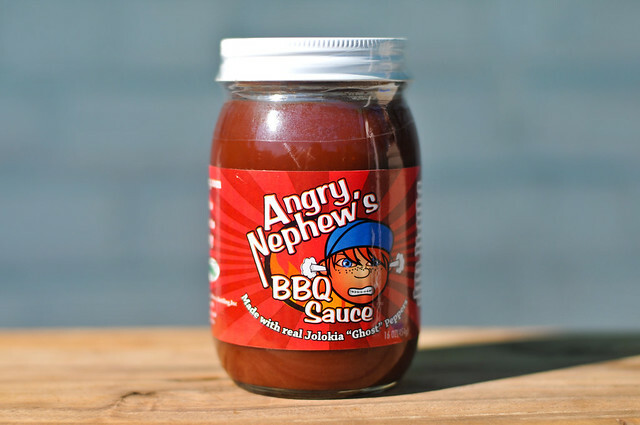 Nephew's now carries a line of six sauces and one rub, produced in Garner, NC. This sauce has a very earthy smell in the forefront, with strong scents of ketchup, onion, and Worcestershire just behind. There's a little vinegar tang, but there's no strong heat that leaves a lasting impression on the nose. 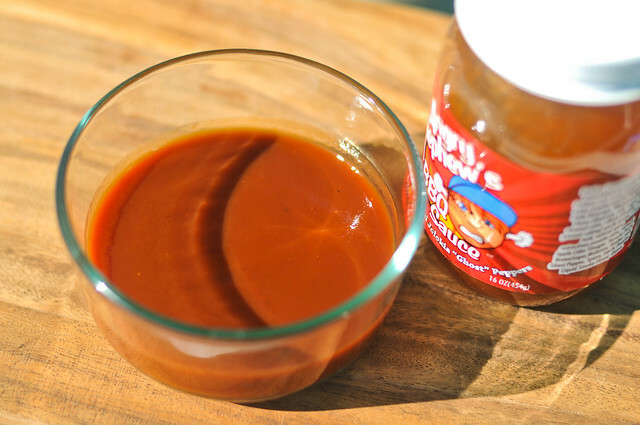 The very smooth sauce runs medium-thin, drizzling freely in a smooth stream off a suspended spoon. There are very few spices seen in the opaque, maroon sauce. First taste is like a spoonful of thin ketchup, with a hint more vinegar. The light sweetness starts to fade as Worcestershire starts to dominate the taste buds. Only after the sauce has left the tongue does the heat start to set in. While I was expecting a sauce that uses ghost peppers to be incredibly spicy, this feel more into a "balanced" spiciness category. The heat was there, but it was not overpowering or extreme. This sauce clung to the chicken and baked in well, with only light caramelization over direct heat. The first taste of the chicken fell a little flat. The standard barbecue sauce flavors that were present at the start out of the jar dulled after being cooked, which left the heat of the peppers to do the heavy lifting. Unfortunately the spiciness also was minimized, and while there was still a kick, it was rather tame. I would expect a sauce made of Ghost peppers to be one of the hottest on the market, but this did not live up those expectations. 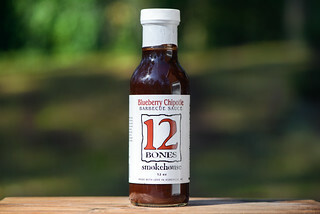 That may be good news for those looking for a standard barbecue sauce with a nice kick, but for heat seekers, there's better choices out there. The base has a fairly normal barbecue mixture, which at the same time makes it pleasing and rather standard. 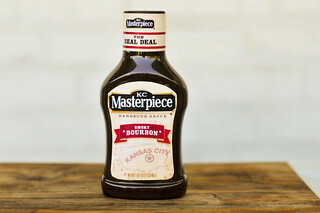 If the heat was kicked up just a bit, I could see this being something special, but as it is, it's an above average barbecue sauce that's best used a condiment to preserve the spiciness that exists out of the jar. I would expect the heat to be more "up there' too. Of the two really hot BBQ sauces I tried, I didn't care for Mad Dog 357 but really liked Sticky Brand's Hot Jolokia BBQ Sauce. Speaking of which, I need to order some more. Another pretty spicy sauce that we carry in our store, is Legend's BBQ Naga-Jolokia. As the name implies, it is a blend of Ghost Peppers and Habaneros.